Follow 3 cooks as they work under pressure while training a newcomer to the kitchen – no other than their manager's nephew! 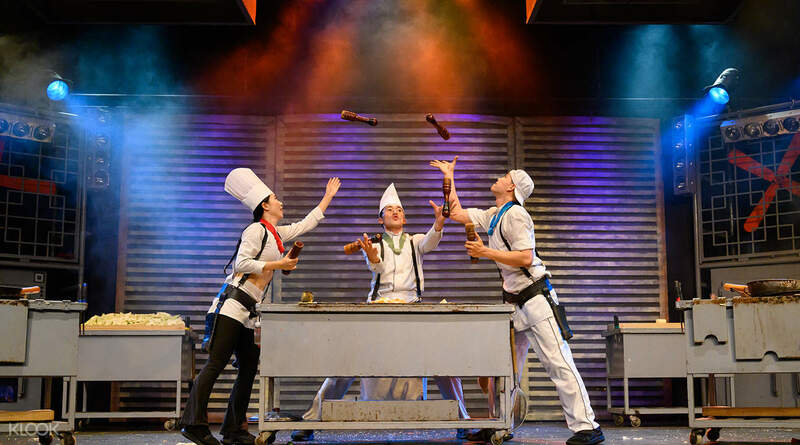 Watch as unlikely instruments take center stage in this musical: cooking utensils! Very great show and suitable for whole family including elderly and kids. I have missed the show in Seoul last few years due to bad traffic. I decided to buy Nanta ticket this round from Klook as the ticket price is very reasonable. The location is a bit off located at one old shopping center and the path to go in from the main road is actually a dark alley under the expressway- slightly unpleasant especially if you are solo traveller. The show is amazing and lots of fun, which 6 years old enjoy every bit of it. Highly recommend. I have missed the show in Seoul last few years due to bad traffic. I decided to buy Nanta ticket this round from Klook as the ticket price is very reasonable. The location is a bit off located at one old shopping center and the path to go in from the main road is actually a dark alley under the expressway- slightly unpleasant especially if you are solo traveller. The show is amazing and lots of fun, which 6 years old enjoy every bit of it. Highly recommend. The show is wonderful. The performers’ facial expression are vivid. You can notice that audiences totally enjoy the show and laugh out loud. The performers also interact with audiences. It’s quite interesting. 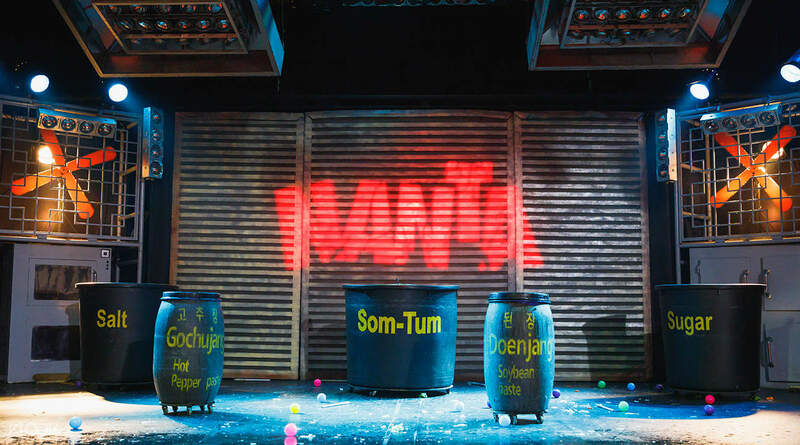 If you have chance to come to Bangkok, don’t miss Nanta show. The show is wonderful. The performers’ facial expression are vivid. You can notice that audiences totally enjoy the show and laugh out loud. 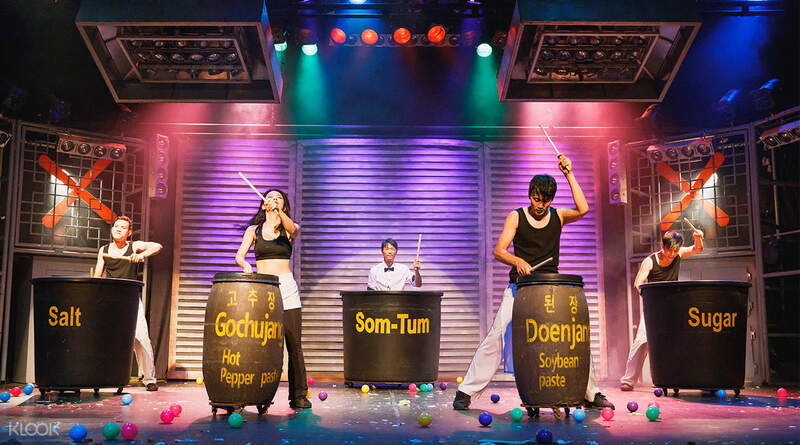 The performers also interact with audiences. It’s quite interesting. If you have chance to come to Bangkok, don’t miss Nanta show. The show is wonderful and interactive. 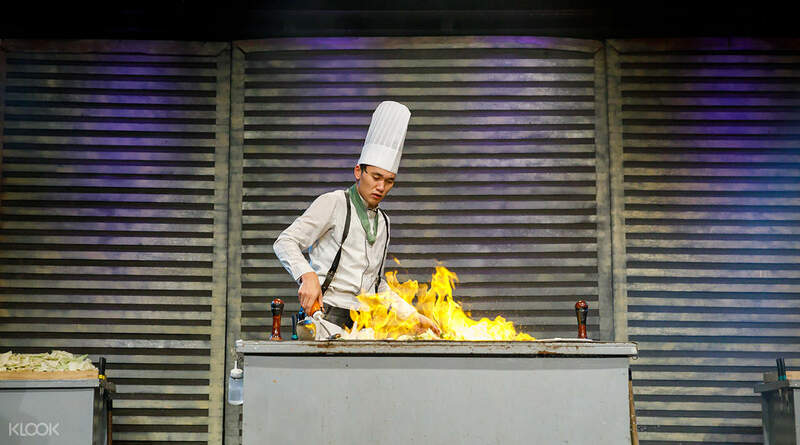 The actors really chop and food and cook in the show.They are funny and energetic. happy to join it really. And heard that it is much cheaper than watching the show in other areas. U can get better seat if u went there earlier. The show is wonderful and interactive. 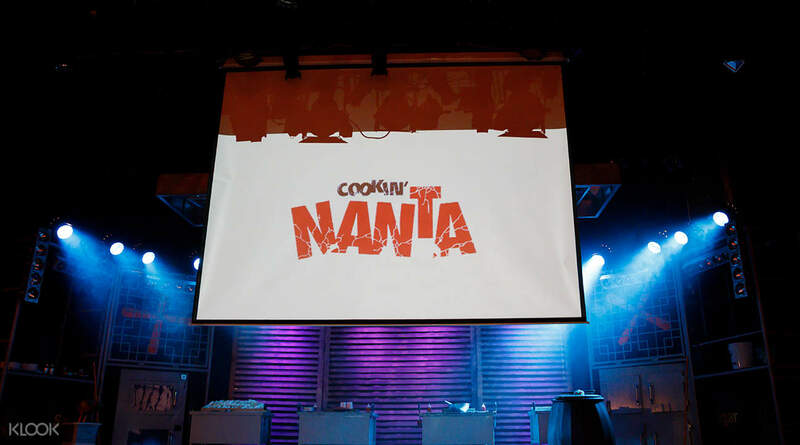 The actors really chop and food and cook in the show.They are funny and energetic. happy to join it really. And heard that it is much cheaper than watching the show in other areas. U can get better seat if u went there earlier. Really great content. Me and my gf had a great time, my gf even got invited on stage. Kinda touristy though, some of the chinese tourists are pretty rude. Other than that, it is very funny family show! Really great content. Me and my gf had a great time, my gf even got invited on stage. Kinda touristy though, some of the chinese tourists are pretty rude. Other than that, it is very funny family show! The comedy show that gives me a painful tummy for over laughing. I will highly recommend this show to all tourists and travellers who likes to make their night unforgettable. The comedy show that gives me a painful tummy for over laughing. I will highly recommend this show to all tourists and travellers who likes to make their night unforgettable. Absolutely adored the show! It fun, cool, lively with a lot of charisma and chemistry between characters!! The cast did an amazing job, the acting (especially expressions) was so on point! Was really convinient to book this activity through klook, recommend - was cheaper then on set and also I ended up in the middle of the first row. Staff is very helpful and professional too, so there wasn't any issues validating voucher or finding a seat! Pick up from MRT station was very convinient too. Mall itself is empty though, so don't bother, go straight ahead to Theatre itself! Absolutely adored the show! It fun, cool, lively with a lot of charisma and chemistry between characters!! The cast did an amazing job, the acting (especially expressions) was so on point! Was really convinient to book this activity through klook, recommend - was cheaper then on set and also I ended up in the middle of the first row. Staff is very helpful and professional too, so there wasn't any issues validating voucher or finding a seat! Pick up from MRT station was very convinient too. Mall itself is empty though, so don't bother, go straight ahead to Theatre itself! I have watched this show a few years back in Korea. Decided to watch again in Bangkok and surprisingly, I had fun just as my first time watching it. A family friendly activity that everyone will definitely enjoy. It is now located in a new "korean" themed mall called SHOW DC. There were a lot of still closed shops in the mall when we got there. I have watched this show a few years back in Korea. Decided to watch again in Bangkok and surprisingly, I had fun just as my first time watching it. A family friendly activity that everyone will definitely enjoy. It is now located in a new "korean" themed mall called SHOW DC. There were a lot of still closed shops in the mall when we got there. Fast and hassle free ticket redemption at the counter. Bought the regular seats but were upgraded to the premium row which were right smack at the center from the stage. A spectacular show not to miss if you are in Bangkok. My husband and our 3 years old son enjoyed the show very much! Highly recommended for family. Fast and hassle free ticket redemption at the counter. Bought the regular seats but were upgraded to the premium row which were right smack at the center from the stage. A spectacular show not to miss if you are in Bangkok. My husband and our 3 years old son enjoyed the show very much! Highly recommended for family. Fast and hassle free ticket redemption at the counter. Bought the regular seats but were updated to the center 4th row from the stage! It was pretty easy to find the shuttle van which printed Free Shuttle to MRT at lane 9 of DC Show parking bay. Try to board the van fast after the show. Service ends 10pm. Fast and hassle free ticket redemption at the counter. Bought the regular seats but were updated to the center 4th row from the stage! It was pretty easy to find the shuttle van which printed Free Shuttle to MRT at lane 9 of DC Show parking bay. Try to board the van fast after the show. Service ends 10pm. Watched the same show in Seoul, the storyline here is the same. But it’s still worth the money! Great show, come and watch especially if you have never watched the show before in other countries! The location here is a bit out of the way, but nothing in Bangkok is more than a Grab ride away. Had a pleasant surprise when we were assigned the first row near the middle when we only bought regular tickets. I see that none of the other reviewers here mentioned where in Show DC is the venue. Had a hard time finding it. It is on level 4. Watched the same show in Seoul, the storyline here is the same. But it’s still worth the money! Great show, come and watch especially if you have never watched the show before in other countries! The location here is a bit out of the way, but nothing in Bangkok is more than a Grab ride away. Had a pleasant surprise when we were assigned the first row near the middle when we only bought regular tickets. I see that none of the other reviewers here mentioned where in Show DC is the venue. Had a hard time finding it. It is on level 4. Q: Can I choose my seat for the VIP package?